With season 2018/19 shaping up to be one of the biggest in NBL history, you won't want to miss a minute of the action. Returning Hawks and fan favourites Kev White, Tim Coenraad and AJ Ogilvy will be joined by NBA and NBL veteran David Andersen. 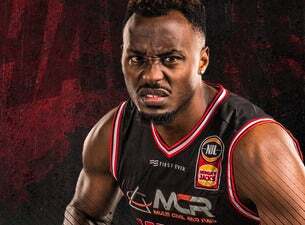 Three-time Championship winner and league MVP Cedric Jackson, Boomers swingman Todd Blanchfield, Brian Conklin and Jordair Jett will be making their return to the NBL with up and coming stars Emmett Naar and Daniel Grida. Join us as we 'welcome' the likes of Andrew Bogut, Chris Goulding and Damian Martin back to Wollongong throughout the season.